For some high-profile communities, visibility is a good thing. The Dancing Rabbit ecovillage in Rutledge, Missouri, depends on workshops and other business endeavors to support itself. Many communities maintain a social media presence as a way to attract new members and promote co-operative living on a global scale. But some communities have good reason for wanting to fly under the radar. Maybe they host meetings for political or environmental activists, and don’t want to worry about informants in their midst. Maybe some residents practice polyamory or unconventional parenting styles, and don’t want their locations or identities compromised. Typical smartphone communications are notoriously insecure. It seems like every app these days wants access to all of your photos, files, and location information. Apps like Facebook Messenger use geolocation data to tag your messages with the time and place you sent them! You don’t have to be paranoid to think that maybe it’s not such a good idea for anyone to be able to retrace your footsteps based on a few messages you sent to your friends. Fortunately, you don’t have to know much about technology to use a secure messaging app on your smartphone. The leading service is an app called Signal, developed by Open Whisper Systems and endorsed by Edward Snowden and journalist Laura Poitras. Signal can be used in place of your phone’s default SMS app, making it easy to send secure texts to any of your friends who also use the app. Plus, you can make secure phone calls through the app using your own phone number. Need more advanced messaging tools to communicate with your community? 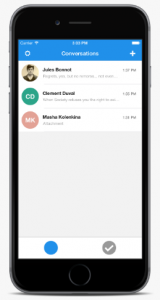 Try Spider Oak’s Semaphore, which offers encrypted messaging and file sharing for small teams of collaborators for as little as $9 per month. That might be worth incorporating into your community’s budget. If you want to get serious about your security, you’ll also want to protect your internet browsing at home and on the go. These days, so many of us use our phones and laptops while traveling that we don’t think twice before logging into an unsecured wifi network at the airport or coffeeshop. No matter how careful you are, this could put your passwords, credit card information, and other personal data at risk. The easiest way to protect yourself is to use a VPN – a virtual private network – which protects your data from end-to-end and masks where your Internet activity is coming from. This is what travelers use to watch HBO or Netflix shows in countries where they aren’t available to stream yet. And it’s how many residents of China get around the country’s bans on accessing Facebook and Twitter. There are plenty of free VPNs you can use on a short-term basis. CyberGhost offers a free service at slower speeds than its premium service. You might find that it makes sense to switch to a VPN before typing in passwords or credit card information, but do without it for regular browsing. There are also free VPNs for use on smartphones, such as Finch, which offers up to 3GB of traffic per month on its free plan. 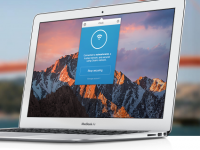 Or, you can pay for a premium VPN like Cloak, which starts at $7.99 per month per user. It works on Macs, iPhones, and other iOS devices, and you can even get a “team” plan to ensure that everyone in your community is covered. If you have multiple community members who all need access to the same accounts (a shared e-mail account or social media profile), it might be tempting to use a simple password that all of you can remember. Instead, use a password manager like 1Password or LastPass. These tools save your passwords securely and plug them directly into websites when you want to log in. They’ll even create hard-to-break passwords for you automatically. Finally, don’t get lazy about digital security around the house. Be sure to change the wifi password on your router every once in a while, so that guests and former residents can’t drop by years later to download Game of Thrones or snoop on your bank account. Do a thorough cleaning of shared accounts on a regular basis, and remove former residents from your e-mail list, Googlegroup, or Dropbox folders. That way, only current community members can have access to shared files and documents. These steps may take a little extra work or cost a little extra money, but they’ll go a long way toward keeping your community’s data safe in the long run! Do you use any of these security tips in your community? What other ideas do you have for keeping data safe? If you have any feedback or questions, please post them in the comments section below! Images via Cloak and Signal.